Where: Derby Dinner Playhouse, 525 Marriott Dr., Clarksville, Ind. Now through April 9, “Bernheim: A Natural Muse,” New Albany, Ind. Delight in the paintings, photography, sculptures, videos, and mixed media from more than 20 artists in residence at the Bernheim Arboretum and Research Forest over the last 35 years. Where: Carnegie Center for Art and History, 201 E. Spring St., New Albany, Ind. Feb. 6, 7; 13, 14, Chocolate Lover’s Weekend, Starlight, Ind. 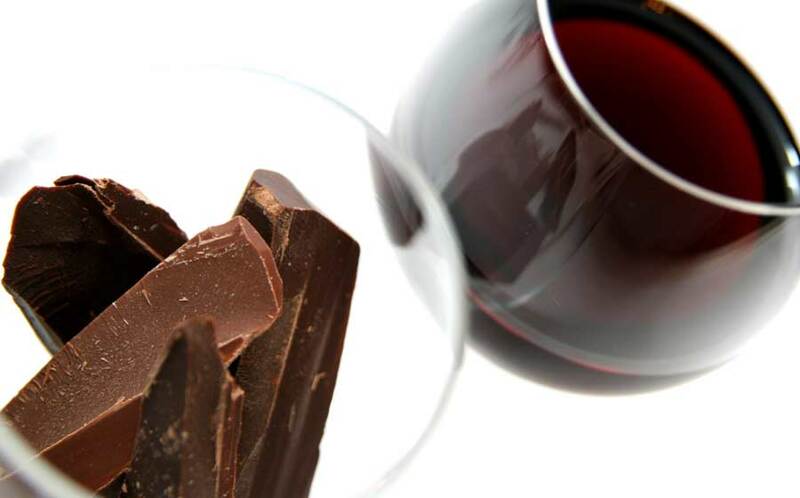 Visit Huber&apos;s Winery during its annual "Chocolate Lover&apos;s Weekend" to savor and sample Huber wines paired with locally made chocolates. Live music will also be performed during this two-weekend event. When: 10 a.m. – 6 p.m., Friday and Saturday, Feb. 6 and 7, Feb. 13 and 14. Where: Huber’s Orchard, Winery, and Vineyards, 19816 Huber Rd., Starlight, Ind. Feb. 6, “Classical Classics,” Louisville Orchestra, New Albany, Ind. Conductor Teddy Abrams conducts the Louisville Orchestra as they perform the classics of Mozart, Haydn, and the first American choral composer William Billings, among others at the Ogle Center on the campus of Indiana University Southeast. Where: Paul W. Ogle Cultural and Community Center, 4201 Grant Line Rd., New Albany, Ind. Feb. 6, Benevolence Ball, New Albany, Ind. Dine, listen to live music, and celebrate in high-brow style at this annual recognition of William Culbertson’s legacy and philanthropy. The Culbertson Mansion Benevolence Award will also be given to an outstanding New Albany citizen. Where: Culbertson Mansion State Historic Site, 914 E. Main Street, New Albany, Ind. Feb. 12, Kindle the Flame, Vintage Fire Museum, Jeffersonville, Ind. “Kindle the Flame” with your valentine as you celebrate Valentine’s day in a unique and memorable way. 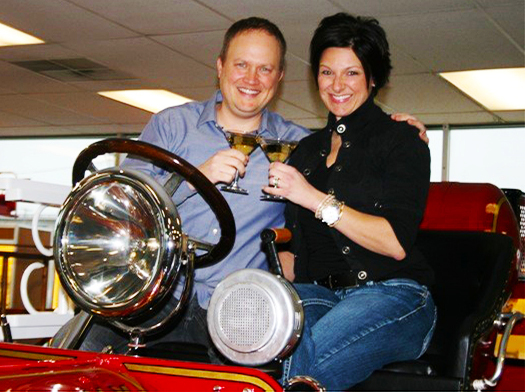 Couples will have their photo taken aboard a vintage fire engine, and will enjoy a champagne toast, hors d&apos;oeuvres, and music. When: 5 - 8 p.m., Friday, Feb. 12. Where: Vintage Fire Museum, 723 Spring Street, Jeffersonville, Ind. Feb. 13, Ogle Center Presents, “Loren and Mark,” New Albany, Ind. Influenced by Americana, Jazz, Country Western and Classical music, Loren Barrigar and Mark Mazengarb perform songs built upon guitar-picking greats like Merle Travis and Chet Atkins. Feb. 14, IU Southeast Concert Band, New Albany, Ind. Enjoy pop musical favorites performed live by the IU Southeast Concert Band. February 20 and March 25, Full Moon Hikes, Charlestown, Ind. Enjoy the great outdoors under a full moon and stars along Trail 2 on Feb. 20, and Trail 3 on March 25. In addition to wearing good hiking shoes and warm clothing, bring a walking stick and a red lens flashlight. Where: Charlestown State Park, 12500 St. Rd. 62, Charlestown, Ind. Tickets: Park admission, $7 for Indiana residents, $9 for out-of-state. February 23 – April 3, “Into the Woods,” Clarksville, Ind. This Broadway musical hits the stage with an epic and modern fairytale about wishes, family, and the choices we make. An enchanting and wickedly witty Tony Award-winning musical featuring a score written by Stephen Sondheim. Feb. 27, Celtic Nights: Spirit of Freedom, New Albany, Ind. Tap your feet and sing along as you’re carried away in Celtic dance and song! Admission: $29 in advance, $33 at the door, $10 for students. Feb. 27 through April 2, “Charlotte’s Web,” Clarksville, Ind. March 3, Chili and Brew Bonanza, Jeffersonville, Ind. Enjoy local chili and brews at Jeffersonville&apos;s 11th annual Chili and Brew Bonanza. In addition to chili tastings, beer tastings, there will also be live music and a silent auction. Where: Kye’s II, 500 Missouri Ave., Jeffersonville, Ind. March 11 – 13; 17- 19, “The Glass Medacity,” Clarksville Little Theatre, Clarksville, Ind. This comedy combines the characters from three of Tennessee Williams’ most celebrated dramas- “Cat on a Hot Tin Roof,” “A Streetcar Named Desire,” and “The Glass Menagerie”- into a story loaded with laughs. March 13, Commonwealth Brass Band, New Albany, Ind. The Commonwealth Brass Band, an Ensemble In Residence, will entertain and inspire with its repertoire based on an English style of Brass Bands.